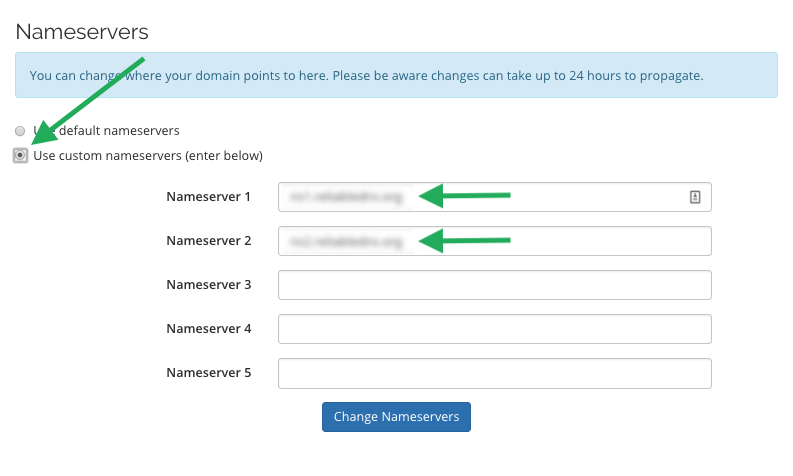 How do I change my nameservers (DNS records)? You can change the DNS of a particular purchased domain by logging into our billing control panel. IMPORTANT: Your domain must be active and registered in order to change the DNS records. If you get an error while you are trying to change the DNS records contact us to check the domain. This change could take up to 24 hours to be reflected, if you didn't get any error don't try to change the DNS records again. Please wait for 24 hours max. If after that time the DNS are not reflected contact us. If you registered/transferred the domain to us before February 28th, 2018 you need to unlock the domain first prior to changing the nameservers. 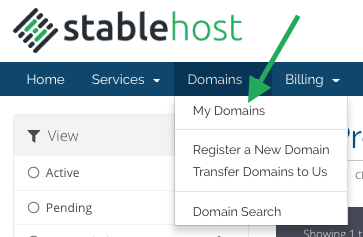 Here is how to do it: https://support.stablehost.com/domains/how-do-i-unlock-my-domain.